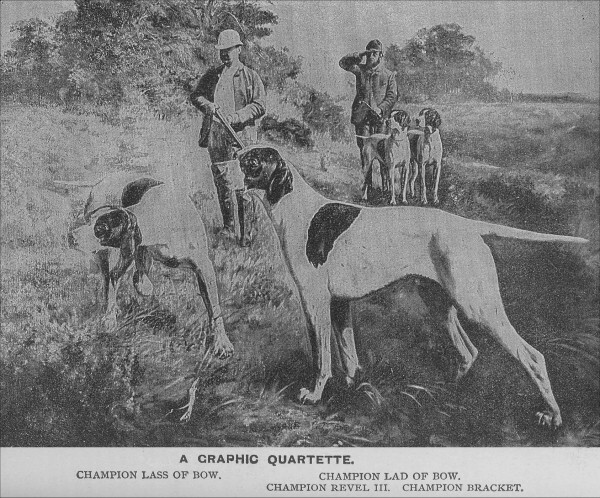 -- Image scanned from Bench Show and Field Trial Records and Standards of Dogs in America, 1874-1891 by Maj. J.M. Taylor, 1892. -- "Ch. Lass of Bow", "Ch. Lad of Bow", "Ch. 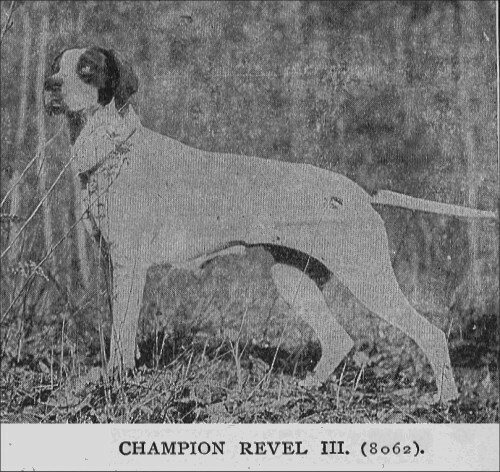 Revell III", and "Ch. Bracket".